MONDAY, Jan. 18, 2016 (HealthDay News) -- Antibiotics are not needed for adults who have the common cold, bronchitis, sore throat or sinus infections. That's the advice from the American College of Physicians and the U.S. Centers for Disease Control and Prevention, which just issued guidelines for prescribing antibiotics for acute respiratory tract infections (ARTIs) in adults. These types of infections are the most common reason for visits to the doctor and for outpatient antibiotic prescriptions for adults, the researchers said. The advice, published Jan. 18 in Annals of Internal Medicine, is designed to combat what the two organizations see as overuse of such treatments. According to an ACP news release, unpublished CDC data estimates "50 percent of antibiotic prescriptions may be unnecessary or inappropriate in the outpatient setting, which equates to over $3 billion in excess costs." "Inappropriate use of antibiotics for ARTIs is an important factor contributing to the spread of antibiotic-resistant infections, which is a public health threat," ACP President Dr. Wayne Riley said in the news release. "Reducing overuse of antibiotics for ARTIs in adults is a clinical priority and a High Value Care way to improve quality of care, lower health care costs, and slow and/or prevent the continued rise in antibiotic resistance," he added. 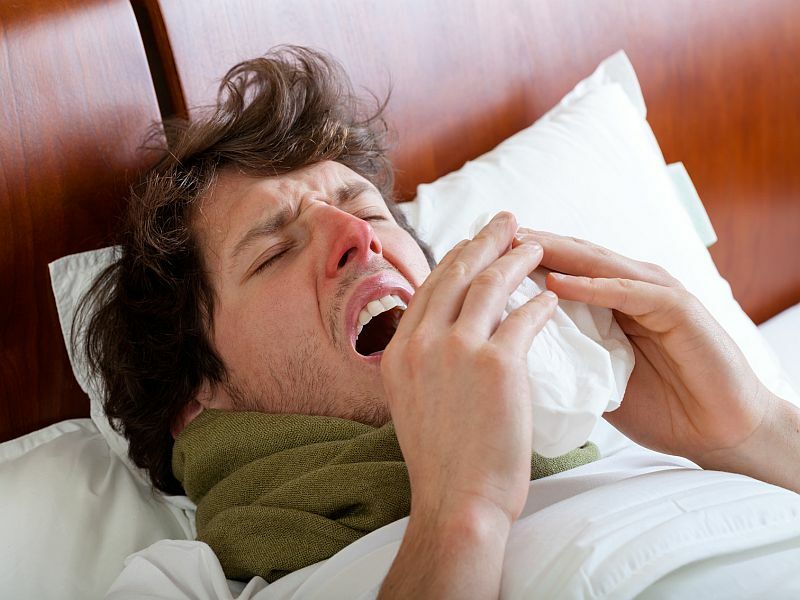 Doctors should advise patients with the common cold that symptoms can last up to two weeks and they should follow up only if the symptoms worsen or exceed the expected time of recovery. Antibiotics should also not be prescribed for uncomplicated bronchitis unless pneumonia is suspected: "Patients may benefit from symptomatic relief with cough suppressants, expectorants, antihistamines, decongestants and beta-agonists." In most cases, antibiotics should be prescribed for a sore throat only if a strep test confirms streptococcal pharyngitis. "Physicians should recommend analgesic therapy such as aspirin, acetaminophen, nonsteroidal anti-inflammatory drugs, and throat lozenges, which can help reduce pain." Uncomplicated sinus infections typically clear up without antibiotics. Antibiotics should be prescribed only if there are persistent symptoms for more than 10 days, or if a patient develops severe symptoms or a high fever, has nasal discharge or facial pain for at least three days in a row, or "worsening symptoms following a typical viral illness that lasted five days, which was initially improving."